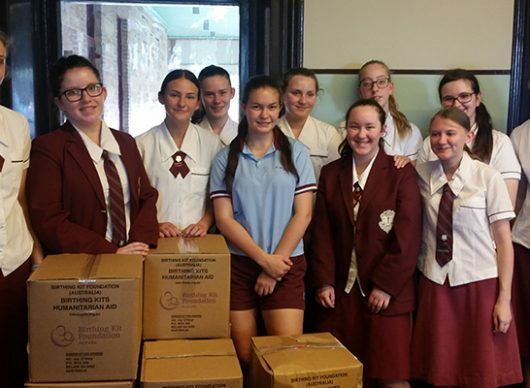 On August 19th, The Zonta Club of Brisbane Breakfast, with Judi and Helen Hutchison at the helm, participated in a huge Assembly Day at which 13,000 birthing kits were packed! And on this day, the 100,000th kit packed by this amazing group was assembled. We hear from long term super BKFA supporter Judi, about her incredible involvement over the years. Judi says, “I was first introduced to the Birthing Kit Project as a proposed service project for the Zonta Brisbane Breakfast Club in 2005. We were provided with a huge booklet containing the philosophy behind, the benefits and components of a birthing kit, where the kits were being distributed and information about the founder Dr. Joy O’Hazy. Since 2006, Helen and I have been managing the Birthing Kit Project on behalf of the Zonta Brisbane Breakfast Club. 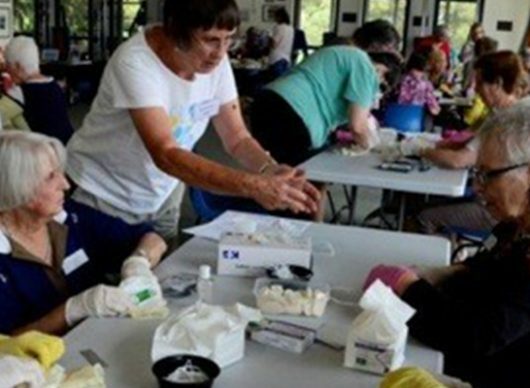 We have raised almost $300,000 and assembled 87,000 kits with the benefit of 3,000 volunteers. This year we aim to assemble our 100,000th birthing kit – I can’t believe it”! We asked Judi why she supports BKFA and what inspires her. “We believe that every woman has the right to a clean and safe childbirth. You help a mother you help a family. Inspiration comes from the source. I have seen first-hand in Ethiopia and New Guinea where birthing kits have been received and access to a health facility is days away. Many women so appreciate the ‘gift’ the birthing kit brings and the education shared amongst the village. Many also can’t believe that other people care. 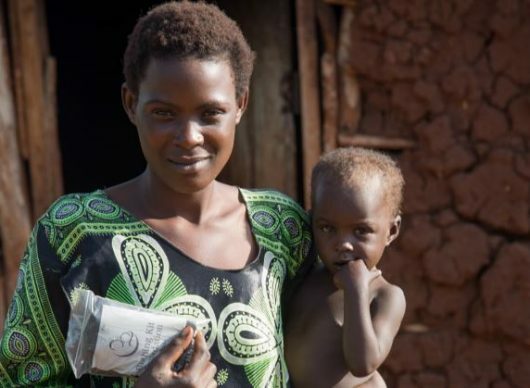 The real benefit to the women and babies in developing counties and the understanding that this can not only affect the health of a village but also their sustainability. I need to add another, which is the realisation in Australia that people are really giving when an opportunity is created for them. The community event that is our Assembly day is a most enriching and rewarding experience”. “Absolutely being awarded the inaugural Life Membership of BKFA. It was a moment I will never forget. Also assembling the 1 millionth birthing kit for BKFA in 2012”. Judi and Helen are true BKFA Champions and we thank them for their passion, energy and commitment. If you’d like to host your own Assembly Day, just click here to find out more.